Hello all! This is my very first "Tip Tuesday" post. Starting this week, every Tuesday I will post a short list of tips based on makeup, skincare, or hair that I think everyone should know. - You don't have to match your foundation exactly to your face. Your face a lot of the time is paler than your body because of the constant exfoliating from washing your face. If this is the case, choose foundation that matches your body. - You don't have to use a primer for your foundation to last, but you do have to have SOMETHING on your face. Moisturizer, BB cream, CC cream, or even makeup mineral or setting spray will work as a primer before applying foundation. 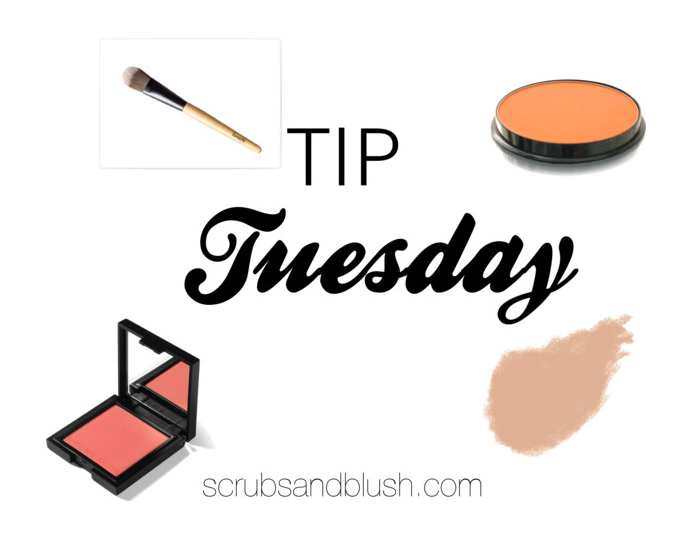 - Make your blush last longer by applying cream blush then powder on top to set it. - Never use cream or liquid products over powder... its a recipe for your skin to look fake. - You don't necessarily have to buy a product that says "bronzer". Using a face powder that is two shades darker than your skin tone is perfect for contouring. - Applying shimmer or glittery bronzers all over your face can actually make your face look dirty. But on the cheekbones works beautifully as a bronzer, highlight, and blush all in one! - The key to success in makeup is blend, blend, BLEND.